Former CEO Richard Smith told Congress the company’s failure to maintain software led to its data hack, and admitted he didn’t ask hard questions. The mistakes should be a lesson for other firms, and a spur for the White House as it considers replacing Social Security numbers. 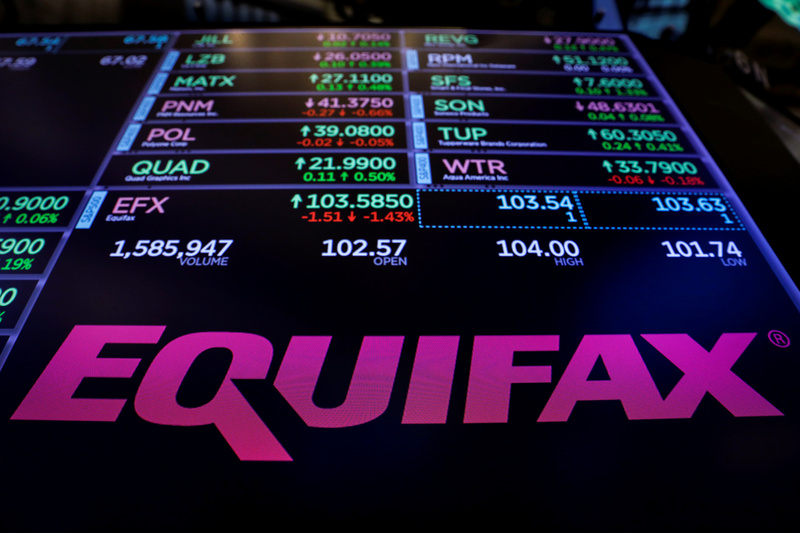 The logo and trading information for Credit reporting company Equifax Inc. are displayed on a screen on the floor of the New York Stock Exchange (NYSE) in New York, U.S., September 26, 2017. Former Equifax CEO Richard Smith told U.S. lawmakers on Oct. 3 that he was “deeply sorry” for a cyber hack that was thought to have exposed personal information for 143 million customers. The consumer credit-score company disclosed on Oct. 2 that an additional 2.5 million people were affected. Smith also told a House energy and commerce subcommittee that he was disappointed by the initial response. “The scale of this hack was enormous and we struggled with the initial effort to meet the challenges that effective remediation posed,” Smith said. Smith said it appears the first time hackers accessed sensitive information was on May 13 but suspicious activity wasn’t discovered by the company until July 29. The company disclosed the breach on Sept. 7. Equifax announced he would retire on Sept. 26. Smith will also testify in two other congressional hearings during the week. Separately, the administration of President Donald Trump is considering replacing the use of Social Security numbers as personal identifiers in the wake of the Equifax hack, White House cyber-security coordinator Rob Joyce said at a conference on Oct. 3, Bloomberg reported.